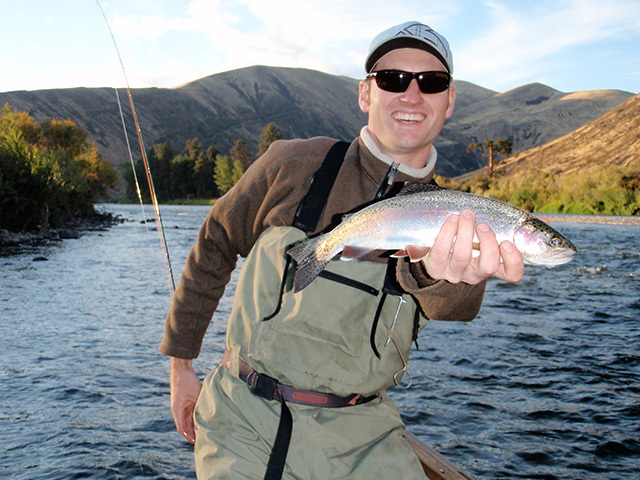 The Evening Hatch started by Jack Mitchell, began guiding on the Yakima in 1988. 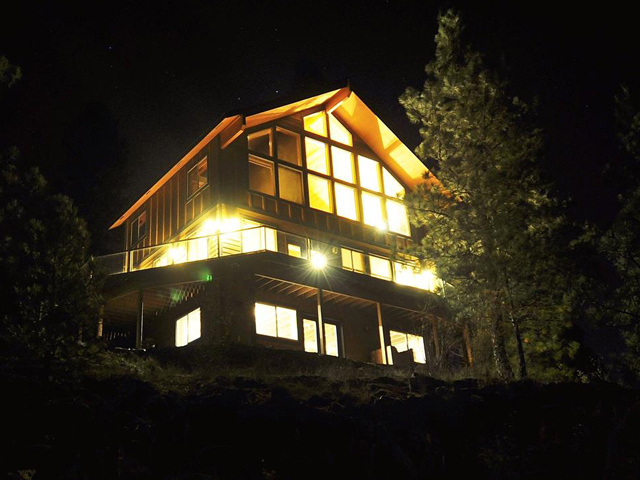 We are one of the remaining original outfitters on ‘Our Home River.’ Since then our services have expanded substantially, including three post and beam lodges. For those who have fished with us, we appreciate your loyal support as this is our 30th year of operating and it continues to be a fun adventure. 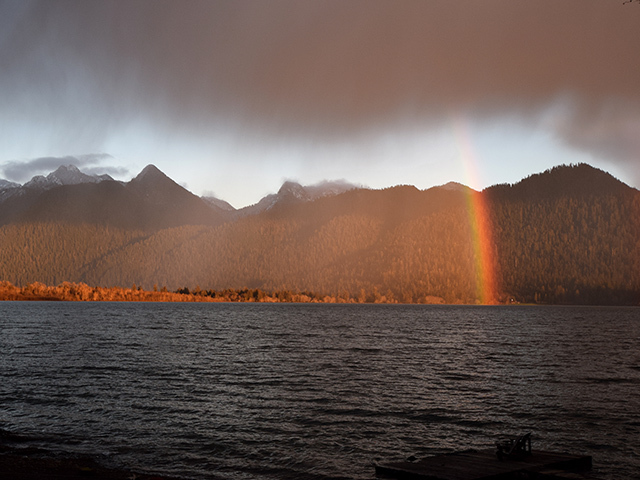 If you haven’t fished with us, we invite you to join us waterside and experience a day, two, three or more on the water with The Evening Hatch. Over the years The Evening Hatch has seasoned a good number of the guides that are on the Yakima and in Central/Eastern Washington today. Some are with us and some may be out there on their own or with other outfitters. These dedicated professionals are hard working, fleece wearing, sun glass bearing, weather tattered, sun lined, oar pulling, fish netting, fly tying genuine fly fishing guides, bums, chefs, hosts and more. At first glance they may appear to be aloof, out there, glaze eyed, robotic and or just guide like. A closer look reveals a staff that will do whatever it takes to make your trip the best it can be, period! See what our guests have to say! Most of our STAFF are full time for The Hatch and some are freelancers roaming the waters… Regardless of their origin, rest assured the experience will be an enjoyable adventure. We guarantee our service! Some of our guide staff have been on the water with us for over 26 years now. A good guide is your link between the knowledge you already have and the knowledge you would like to gain when it pertains to fishing with the fly. 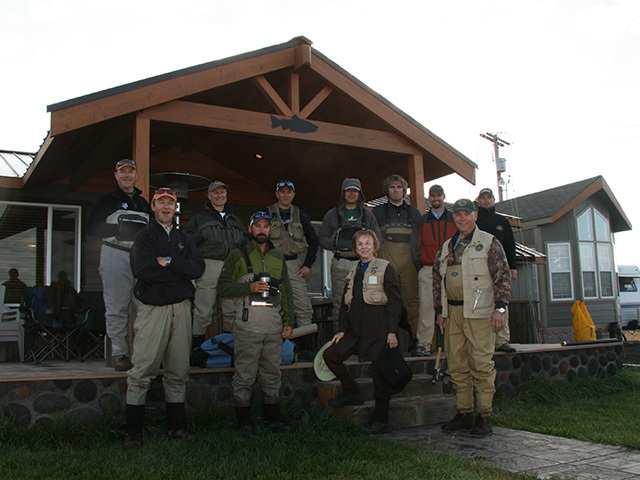 We are grass roots, from the get go… We won’t presume to tell you how to fish; Whether it be dry flies, streamers, nymphing or swinging…We are well versed in all techniques with a fly rod, both single hand and double handers and can teach you the intricacies of the methods you are interested in. If there is something you would like or not like on your trip, let us know and we will make it happen!